Anyone travelling from the UK to Ireland must go by air or sea. We all know that no one can board a aeroplane without a valid passport -- so these plans must be aimed at sea travellers. 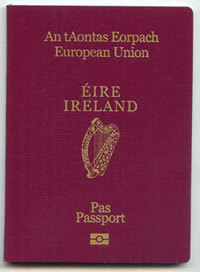 Does Ireland have any plans to check all passports of arrivals by sea from the UK -- Ireland should do this. If no one arriving from the UK has to show their passport --Ireland will be inviting big problems.